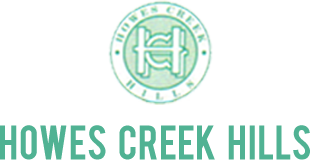 Howes Creek Hills was established in the ’80’s by Nereda and Michael Hanlon to realise their dream to combine High Quality Genetics in the best Natural Environment possible. Amalgamating mature farming land into what is today considered one of the premier properties in the District, the Hanlons combined extensive plantings (in excess of 30,000 trees) with aggressive erosion management and pasture improvements including regular soil enrichment and grass replanting. They introduced smaller paddock sizes for easier herd management and better feed utilisation with substantial capital improvements including state of the art breeding and animal management facilities. Located in the magnificent North East of Victoria in the sub Alpine area near Mansfield, there is a high reliability of rainfall, supplanted by extensive dams and water management infrastructure. We are proud of the reputation we have built with our Poll Hereford Cattle and our unique Australian White and Wiltipoll Sheep and encourage you to take advantage of our superior Genetic profile and our Animal husbandry record. Situated 16 km from Mansfield in the Magnificent North East of Victoria, are home to genetically superior Poll Hereford Beef cattle who crossgraze with our commercial flock of cross and pure bred Australian White Sheep.